I’ve written about my love of essential oils before. Since then, I’ve been finding more and more uses for them. And since I want you to find more uses for them, too, I have a special giveaway from Got Oil Supplies today! 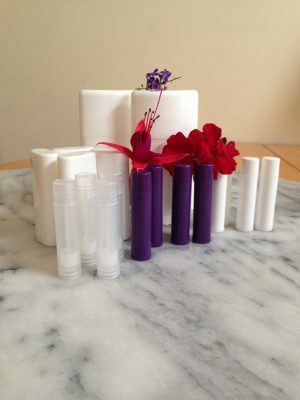 Last winter I started using essential oils to make lip balm and lotion sticks. I get incredibly dry skin in winter, but I’ve always hated applying lotion to my skin. I just have some kind of sensory prejudice against it. My daughter also gets painful cracked, rashy skin on her hands every winter. So when we started using the lip balm and lotion sticks, I couldn’t believe how well they worked. My daughter’s hands cleared up in a matter of days, and I didn’t get my usual eczema flare-ups on my legs. Since winter is on its way (well, in theory . . . it’s going to be 100 degrees here in Southern California tomorrow), I decided it was time to make a new batch. Luckily this DIY couldn’t be simpler. 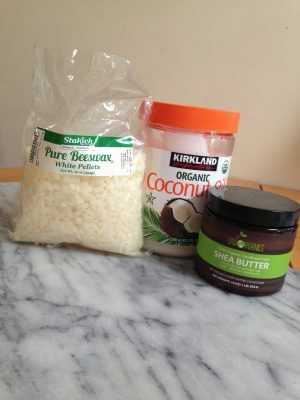 You need the same basic supplies for both the lip balm and lotion sticks: coconut oil, beeswax pellets, and shea butter. I know those last two may sound a little exotic, but they’re not expensive and you can buy them right on Amazon. 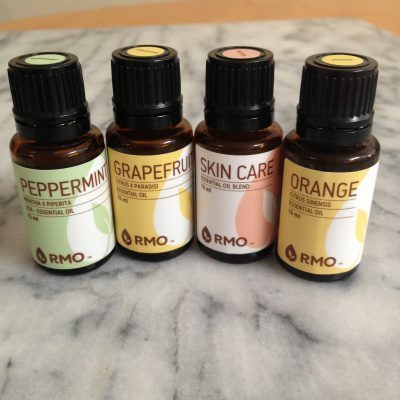 Of course, you’ll also want your favorite essential oils. For lip balm, I like using peppermint, orange, or grapefruit. For the lotion sticks, my absolute favorite is Skin Care from Rocky Mountain Oils. You also can’t go wrong with lavender. Several drops essential oil of your choice (I should count this out sometime; basically I just keep adding drops until everything smells nice. I’m guessing it’s around 10 drops.). I put all the ingredients in a glass jar and put it in a small pot partly filled with water. Put it over medium heat and using a disposable wooden chopstick (or spoon, if you don’t mind a little extra clean-up), stir the ingredients until everything is melted. Remove from the heat and add your essential oils. Using a pipette or dropper, fill your lip balm tubes. (Or do what I do and very carefully pour. I can’t promise none will drip down the side the tube.) Let them cool completely before using. Again, mix everything in a glass jar while it melts in a pot of water over medium heat. When it’s completely melted, add your essential oils and pour into your stick molds. Let them cool completely. That’s it! As I said, it couldn’t be easier. It’s one of those DIYs that makes you wonder why you’ve been buying these products all your life. And the fact that they work so well is just icing on the cake! Now for the giveaway: Got Oil Supplies has very generously sent me a collection of lip balm and lotion stick tubes – including adorable travel size lotion stick tubes – to give to you! Got Oil Supplies has just about everything you’ve ever wanted for your essential oil uses. Roller bottles, diffusers, jewelry, labels, pumps, droppers, jars, carry bags . . . seriously, they have everything. 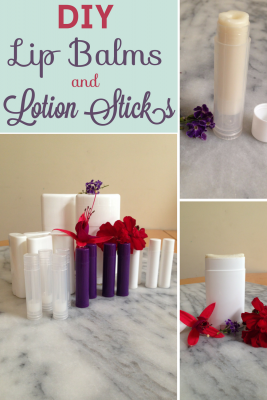 Enter to win this collection of lip balm and lotion stick tubes! This giveaway will end on Oct. 30, 2017 at midnight PST. Winners will be drawn via Rafflecopter. Winners will have 48 hours to reply before I draw a new winner. You must be at least 18 years of age and a resident of the U.S. to win. Giveaway is not affiliated with Facebook & I release them of liability. Winner will be posted in the Rafflecopter widget. Saturday Freebies – Free Kellogg’s Despicable Me Fruit Flavored Snacks at Sam’s Club! I would definitely use it to destress! 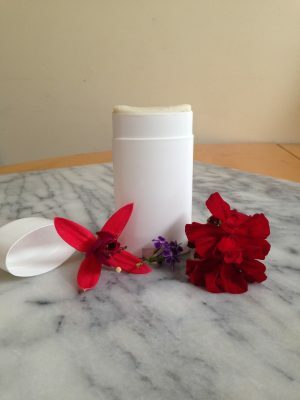 I have wanted to make my own lip balm, as well as other hygiene products for awhile now, but buying all the ingredients at once is very expensive. So, I would definitely make lip balm first, then perhaps try my hand at lotion or deodorant. I love to give lip balms and hand lotions for my sign language students at Christmas (gotta keep lips and hands in good working order in the winter, right?. It will be fun to make them myself! I would love to make these for myself and for my family members as stocking stuffers! I’ve always wanted to make my own lip balm. I buy so much of the commercial kind and there are probably ingredients in them I shouldn’t use! Thank you for the opportunity to win these products. I think they would make lovely stocking stuffers along with handmade tags describing the ingredients and how to use the goodies. Of course I have to sample first! I would make bath bombs. And try out your lip balm tutorial : ) thanks! I love me some EO! I would use them just as you described! Im a huge fan of your blog. This is a great Christmas gift idea. We use essential oil scents to alleviate headaches. I love oils to help me relax. I’d use these supplies for myself and to give some lip balms as x-mas presents. This is honestly my dream giveaway! I have been slowly buying supplies to make my own homemade products; I am passionate about making this a full blown hobby! I love your biog and love EO’s. I like to put on my skin to smell them. My daughter came to me the other day and said she needed stuff to make her own lip balm. I told her I would check into it. Great to find this! I’m a DIYer so I would definitely try making the lip balm. I’ve been making my own foam soap and these would be great for that too. I would use them in many ways, including in my diffuser. I would like to make these for myself and for my family members as stocking stuffers! I would love to make lip balm! My lips are always dry! I would use these to make some awesome homemade Christmas gifts. Wow! 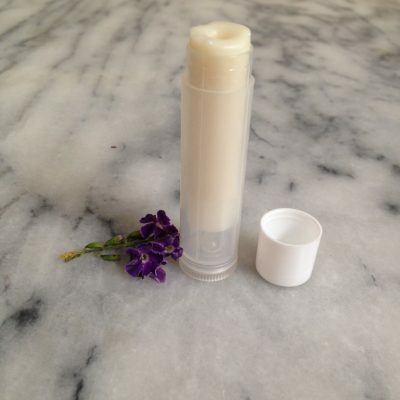 This looks so simple and homemade lipbalm is totally my favorite. Thanks for sharing this DIY Mara!